By gently exfoliating the skin with Aluminium Oxide Crystals, Microdermabrasion can be used to solve a wide range of skin conditions. Rejuvenating, smoothing lines and wrinkles, brightening dull, dehydrated skin and tackling blackheads and pores. Its also very effective for reducing acne scarring and pigmentation caused by sun damage. 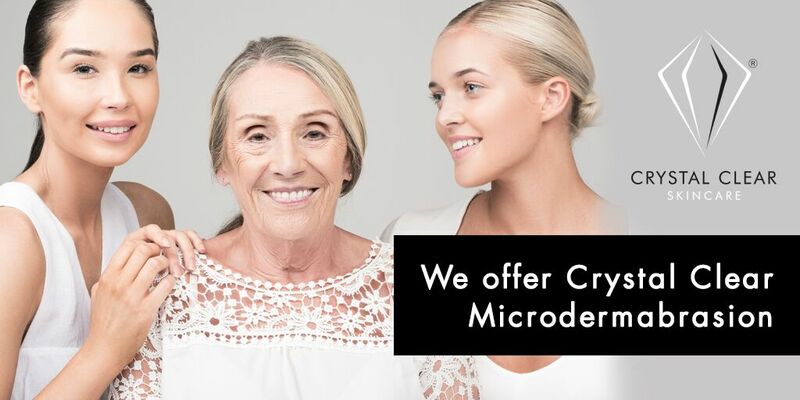 You'll see the difference after just one treatment, a course of Microdermabrasion treatments may be recommended depending on different skin types and conditions. Skin is expertly cleansed, Microdermabrasion tackles lines, wrinkles, pores, blackheads and dull skin, then our Mini Lift Mask is applied to hydrate and firm. This facial is designed for skin that needs that little bit more. 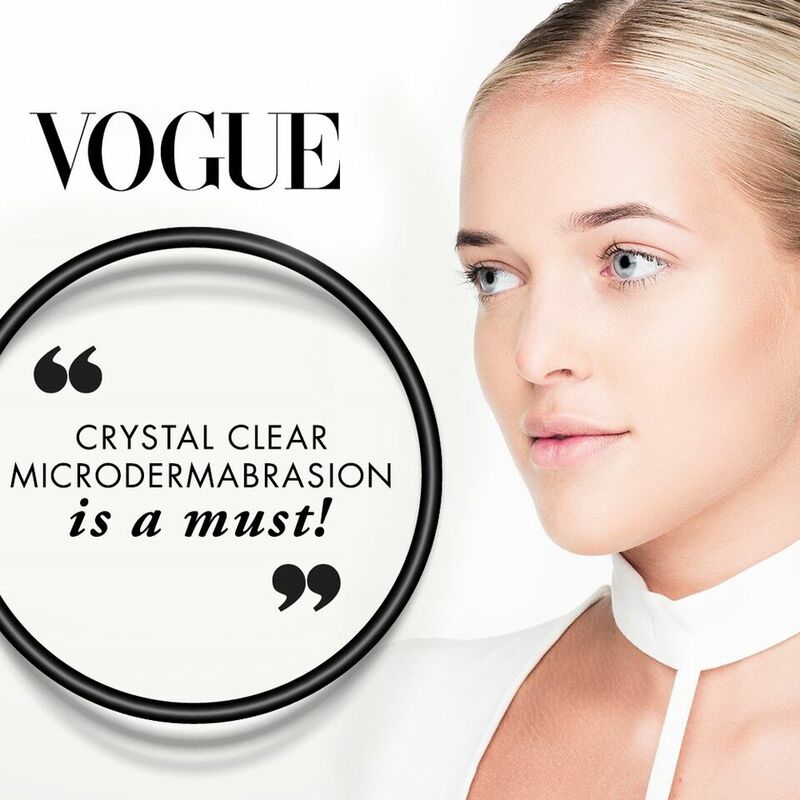 You’ll have all the benefits of the full Microdermabrasion plus the Crystal Clear Mini Masque Lifts that starts plumping out lines and wrinkles within 30 minutes. This intensive facial combats the signs of ageing and replenishes dry and sensitive skin bringing back clarity, firmness and hydration. Results are obvious after the first treatment, the skin is firm, smooth and more rejuvenated. The ultimate in skin rejuvenation. Starting with a mini back massage, then enjoy our full Microdermabrasion Treatment, and ending with an additional moisture hit. Great for very dry or dehydrated skin. An excellent treatment to kick start the most tired and dull looking skin, breathing life back into your complexion. It is the perfect choice to improve sun damaged, dehydrated and ageing skin types, but also as a preventative treatment. Microdermabrasion tackles lines, wrinkles, pores, blackheads and dull skin. A total treatment for eyes face and neck, and starts with a relaxing back massage. A full cleanse and Microdermabrasion treatment for the back. Perfect for clearing up dry skin and small pimples, skin will instantly look clearer and smoother. “Microdermabrasion facial for the back”. This treatment is fantastic for scars, oiliness, breakouts, acne and uneven skin tone on the back. The therapist will cleanse your back with specific Crystal Clear products and then use our hand held device to clear and even the skin, finishing with a specialist moisturiser to hydrate and soften your skin. The treatment will last approximately 30 minutes. Also good for small pimples, and dry skin on the back of arms. The skin instantly looks smoother and brighter. Targets fine lines and wrinkles around the eye are, leaving you looking fresher and more awake. 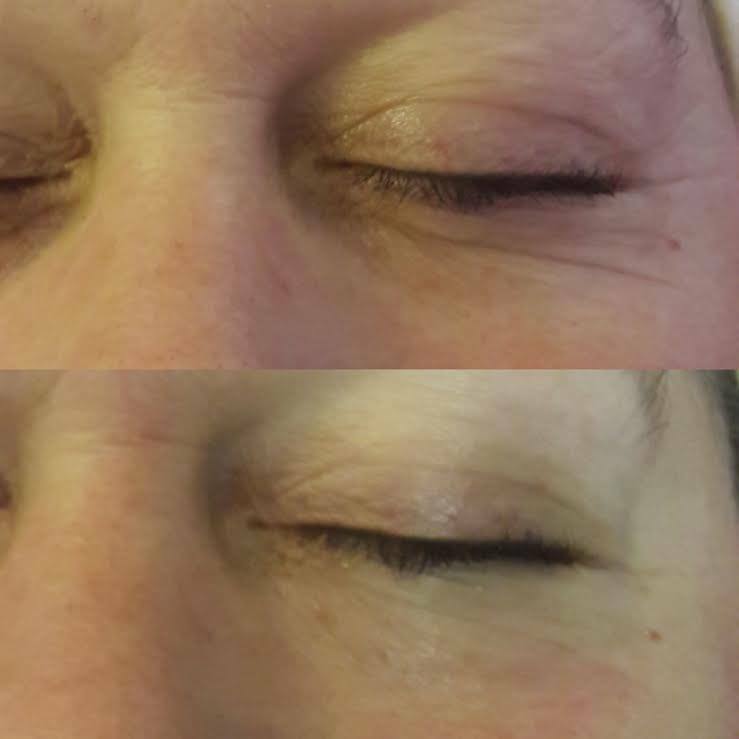 Skin is cleansed and Microdermabrasion is focused around the eye area and forehead, then our Wrinkle Erase Pads are applied to the eye area to thoroughly hydrate and lift. Instantly provides a more rejuvenated wide awake look. Perfect for lines and wrinkles and poor skin tonicity around the eyes. It works effectively to diminish dark circles and helps eliminate puffiness. So why not bring the sparkle back to your eyes!